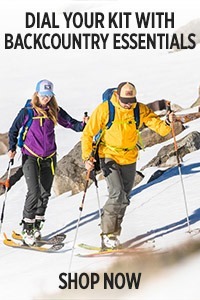 At Outdoor Research, we believe that small steps can lead to big impacts. The We Can Grant celebrates those small steps by awarding $10,000 to a non-profit that improves access to the outdoors within their own community. Tell us how you would use the We Can Grant to fulfill your vision, and we'll try to make that vision a reality. 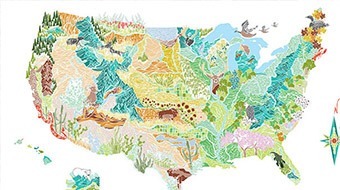 LAND People working to ensure that public lands remain open and accessible to all. EXPERIENCE People working to create a better experience on the lands that we access. COMMUNITY People working to introduce (or better include) underserved communities to the outdoors. We are proud to introduce the 2018 We Can Grant recipient, The W.R.E.N.C.H.. Stay tuned for this year's application to be open on May 1. We had an idea. It started with improving outdoor access at an individual level, and then it grew. We wanted to thank, to celebrate, and to lend a hand to the people making a difference on their home turf with the We Can Grant. Tell us how you would use $10,000 to make your goals of Access for All a reality. Meet the 2018 Recipient: The W.R.E.N.C.H. A bicycle – and the ability to work on it – can be one of the most empowering gifts to give. In 2018, the Winnipeg Repair Education and Cycling Hub (The WRENCH) used their We Can Grant earnings to fund five Earn-a-Bike courses for 35 youth from around Winnipeg. Each participant walked away with a bicycle they had built themselves, the knowledge and skills to repair and maintain it, a helmet, lock, and lights. See the We Can Grant in action below, and learn more about The WRENCH on the Verticulture blog. It's pretty simple math that makes for the troubling lack of diversity in climbing, explains Marc Bourguignon. 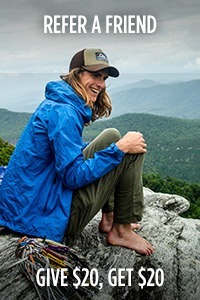 He works, along with Julie Gardner, to help bridge the gap between indoor and outdoor climbing for multi-cultural youth in the Denver and Seattle areas, through a program called Vertical Generation-one of the two inaugural recipients of Outdoor Research's We Can Grant. He and Julie decided they wanted to try to break down socioeconomic barriers to provide everyone the opportunity to access climbing, and we wanted to help. PROMOTER/SPONSOR. 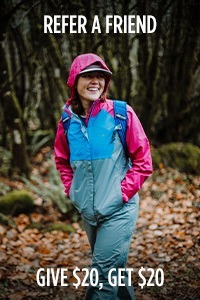 This Contest is sponsored by Outdoor Research, LLC, 2203 1st Avenue South, Seattle, Washington 98134 ("OR:). ENTRANTS. The WE CAN GRANT("Contest") is exclusively open to 501 (c)(3) organizations of the U.S.A. and Non-profit Organizations (NPO) in Canada (void in Quebec, Rhode Island and where prohibited/restricted by law), who are registered as such with the IRS or Canada Revenue Agency (CRA) ("Entrant") at the time of the Contest submission. This Contest is subject to all applicable federal, state, and local U.S. laws. To enter Contest, Entrant must: (1) be from a legal not-for-profit company as defined by US and Canadian law; (2) be legally authorized to enter the Contest, on behalf of the specified not-for-profit organization named in the application; (3) meet all requirements set out by the application; (4) complete the full online We Can Grant Application within the Contest period defined in Section 4 ("Entry"). CONTEST AND ENTRY PERIOD. The Contest begins at 12:00 AM Pacific Standard Time on Wednesday, May 1st, 2019, and ends at 11:59:59 PM Pacific Standard Time on Friday May 31st, 2019 ("Contest Period"). Contest Entry Period begins at 12:00 AM Pacific Standard Time on Wednesday, May 1st, 2019, and ends at 11:59:59 PM Pacific Standard Time on Friday May 31st, 2019("Entry Period"). Entries submitted before or after the Entry Period are ineligible. OR's computer is the official time-keeping device for the Contest. HOW TO ENTER. 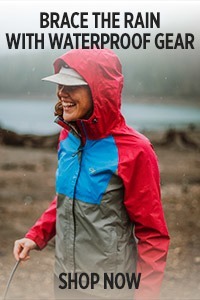 All entries must be submitted through OR's website (http:// http://www.outdoorresearch.com/wecangrant) ("Website") using the We Can Grant Application during the Entry Period by following the entry instructions on the Website and entering all required fields and information ("Entry"). An incomplete Entry is void. OR does not accept handwritten or e-mailed Entries. Entries will be deemed made by the authorized account holder of the e-mail address submitted at time of Entry. The term "authorized account holder"; means the person to whom an e-mail account is assigned by a business, organization, or educational institution; however, notwithstanding the forgoing, OR may, at its sole discretion and without liability, define "authorized account holder" as it deems reasonably necessary to administer this Contest. OR reserves the right to require the Contest winner to submit, among any other information OR deems reasonably necessary, (1) proof that they are an authorized agent of the specified orginization, and (2) that the Writing (defined below) submitted is their own original work of authorship to which they possess unencumbered rights. SUBMISSION OF WRITING. The We Can Grant Application (1) must be completed in full (writings submitted in languages not understandable to Judge/Judges (as these terms are defined below) will be considered void); (2) must clearly describe Entrant's ability to affect change with the grant monies and Entrant's ability to do so within 365 days of receiving funding.)) ("Writing"). Entrant may submit a previously published Writing, so long as their right to use such writing is not encumbered in any way, and so long as Entrant maintains the right to grant OR and Affiliates rights to the Writing per the terms of these Official Rules. Entrant must be able to disclose to OR on request where a previously published Writing was published. Entrant may submit no more than one Entry; duplicate or multiple Entries received by OR, whether the fault of the Entrant or not, disqualifies Entrant from participation in Contest. OR is not liable for Entries submitted, but not received by OR due to dropouts, server congestion, bandwidth limitations, or any other reason. Entry information will not be acknowledged or returned. SELECTION OF WINNER. Judging will be conducted by one or more OR employee and a guest judge to be selected by OR at its sole discretion ("Judge" or "Judges"). There will be one (1) winner selected from all valid Entries. Judge/Judges will evaluate each Writing submitted as part of a valid Entry and will select one (1) Writing as the winning Writing on the Judge's/Judges' assessment and conclusion that the Writing is most representative with the spirit of the grant; i.e., the Writing Judge/Judges assess, in Judge's/Judges' sole discretion, to be most in the spirit of the grant, as Judge/Judges choose, in their sole discretion to define that term, will be the Writing deemed the winning Writing. Judge's/Judges' decision is final. Please do not contact OR to ask about the status of Entries or Judging. The Entrant who submitted the winning Writing (the "Winner") will be notified on or around July 23rd, 2018 by e-mail and phone (at the e-mail and phone number submitted at part of Entry). PRIZES. 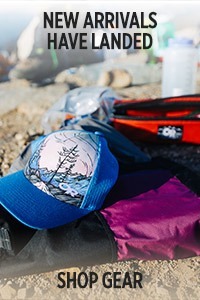 Winner will receive (1) $10,000USD and (2) USD $1000 in OR gear (based on MSRP) of Winner's choosing (notwithstanding anything herein to the contrary, OR gear available to Winner is limited to OR gear reasonably available at the time Winner specifies Winner's choice of gear; furthermore, OR reserves the right, without liability, to limit for any reason, the OR gear available to Winner). ("Prizes"). Should any of the forgoing Prizes be unavailable, OR reserves the right to offer a substitute prize, of equal or lesser value, of its choosing. Prizes are NON-TRANSFERABLE AND MAY NOT BE SOLD. No substitutions allowed. All federal, state, providential, and local taxes (if any) are the sole responsibility of the Winner. All details of any Prizes not specified in these Official Rules are determinable solely by OR. Except where prohibited, Winner shall complete and return an affidavit of eligibility, and liability release, within ten (10) days of the first notification attempt on or around July 23rd, 2018. If the Winner fails to return these documents on time (whether Winner's fault or not) Prizes are forfeited, and Winner is no longer eligible to participate in Contest. In the instance that Winner forfeits, OR may, at its sole discretion, choose an alternate winner per Contest's Official Rules. To claim Prizes, the Winner must respond as directed within seventy-two (72) hours of the first notification attempt on or around July 23rd, 2018. If the Winner cannot be reached or fails to respond or comply with any of these requirements, or if OR determines in its sole discretion that Winner is ineligible or disqualified, then, in OR's sole discretion, the Winner may be disqualified and the Prizes forfeited. In such event OR may, at its sole discretion, choose an alternate winner. Unless prohibited by law, by accepting Prizes, the Winner grants permission to OR to the reproduction, display, transmission, and use of Winner's Writing, name, hometown, likeness, photograph, voice, and statements for advertising and publicity purposes without further compensation or permission. Winner assumes sole responsibility for any and all costs and other expenses associated with the Prizes not explicitly outlined above. That Entrant grants OR and Agencies, permission to use Entrant's name, Entrant's organization and Entry for promotional, marketing, or other purposes to promote the Contest and Entrant's involvement with the Contest in perpetuity across all media. Neither OR and Agencies, nor related individuals will accept correspondence or telephone inquiries regarding the status of Entries or the administration of the Contest. By entering the Contest, Entrant agrees that Entrant's Writing, as well as all other personally identifiable information collected or used in connection with the Contest may be used by OR and Agencies in accordance with these Official Rules. Without limitation, any and all incomplete, late, lost, misdirected, undelivered, undecipherable, or destroyed Entries are ineligible Entries, regardless of the reason or party responsible. False, misleading, or deceptive Entries render the Entrant ineligible. Entries become the official property of OR; Entries will not be acknowledged or returned. By entering the Contest, Entrant hereby warrants that all information submitted by Entrant is true, accurate, complete, and current. Entries that do not comply with the requirements stated in these Official Rules will be disqualified. OR reserves the right to collect and use any and all metadata collected from Entrant during submission of Entry. OR reserves the right to share Winner's e-mail address and other information submitted as part of Entry with its affiliates for marketing, advertising, and other promotional purposes. OR is in no way responsible for ensuring that any Writing or other information submitted in an Entry meets the qualifying criteria outlined above. BY ENTERING THE CONTEST, EACH ENTRANT AGREES TO BE BOUND BY THESE OFFICIAL RULES AND BY ALL DECISIONS OF OR; ENTRANT ACCEPTS THAT ALL OR DECISIONS ARE FINAL. BY PARTICIPATING IN THIS CONTEST, EACH ENTRANT RELEASES AND HOLDS HARMLESS OR AND AGENCIES AND ITS AFFILIATES AND RELATED INDIVIDUALS FROM ANY AND ALL LIABILITIES, DAMAGES, LOSSES, EXPENSES, INJURIES, CLAIMS AND ACTIONS OF ANY KIND ARISING OUT OF OR RESULTING FROM PARTICIPATION IN THIS CONTEST OR FROM ACCEPTANCE, USE, OR MISUSE OF ANY PRIZE, INCLUDING WITHOUT LIMITATION, CLAIMS BASED ON DEATH, PUBLICITY RIGHTS, DEFAMATION, OR INVASION OF PRIVACY. By participating in this Contest, each Entrant further agrees that any and all disputes, claims, and causes of action arising out of or in connection with this Contest, or any Prize awarded, must be resolved individually, without resort to any form of class action, and any judicial proceeding shall take place in a state court in the State of Washington. All issues and questions concerning the construction, validity, interpretation, and enforceability of these Official Rules, or the rights and obligations of Entrant and OR in connection with the Contest, are governed by, and construed in strict accordance with, the laws of the State of Washington, without giving effect to any choice of law or conflict of law rules or provisions that would cause the application of the laws of any jurisdiction other than the State of Washington. OR reserves the right, at its sole discretion, to disqualify any Entrant found or suspected to be tampering with the operation of this Contest, acting in violation of these Official Rules, acting in a non-sports person like or disruptive manner, or with intent to abuse, threaten, or harass any other person or Entrant. Any use of robotic, automatic, programmed or the like entry methods will void all such entries by such methods, and disqualify any Entrant using any such method. ANY ATTEMPT BY AN ENTRANT OR ANY OTHER INDIVIDUAL TO DELIBERATELY DAMAGE ANY WEBSITE RELATED TO THIS CONTEST OR UNDERMINE THE LEGITIMATE OPERATION OF THIS CONTEST MAY BE VIOLATION OF CRIMINAL AND CIVIL LAWS AND SHOULD SUCH AN ATTEMPT BE MADE, OR RESERVES THE RIGHT TO SEEK DAMAGES FROM SUCH ENTRANT TO THE FULLEST EXTENT PERMITTED BY LAW. OR is not responsible for any incorrect or inaccurate information, whether caused by users of any website related to this Contest, by any of the equipment or programming associated with, or utilized in, this Contest, or by any technical or human error which may occur in the processing of submissions in this Contest. OR assumes no responsibility for any error, omission, interruption, defect, deletion, delay in operation or transmission, communications line failure, theft, or destruction, or unauthorized access to, or tampering with or hacking of, any website related to this Contest or any technical failure or malfunction. 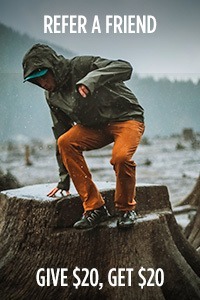 OR is not responsible for any injury or damage to Entrant's or any other person's computer related to or resulting from participating in this Contest, or downloading or copying materials from, or use of any website related to, this Contest. If, for any reason, this Contest is not capable of running as planned, including, without limitation, by reason of infection by computer virus, bugs, tampering, hacking, fraud, technical failures, or any other causes which, in OR's sole judgment, corrupts or affects the administration, security, fairness, integrity, or proper conduct of this Contest, OR reserves the right, at its sole discretion, to cancel, terminate, modify, or suspend this Contest, and select a winner from entries received prior to action taken as OR, in its sole judgment, deems fair and in accordance with these Official Rules without notice to Entrants. In the event that any legal or regulatory authority challenges this Contest, OR reserves the right to discontinue or modify this Contest without liability, or to disqualify Entrants residing in any affected geographic areas. In such event, OR shall not have any liability to any Entrants who are disqualified as a result of such an action. IN NO EVENT IS OR AND ITS AFFILIATES AND RELATED INDIVIDUALS (EITHER JOINTLY OR INDIVIDUALLY) RESPONSIBLE OR LIABLE FOR ANY DAMAGES OR LOSSES OF ANY KIND, INCLUDING DIRECT, INDIRECT, INCIDENTAL, CONSEQUENTIAL OR PUNITIVE DAMAGES ARISING OUT OF PARTICIPATION IN THIS CONTEST, ANY PRIZES WON, ACCESS TO AND USE OF OR's WEBSITES, OR THE DOWNLOADING OR COPYING FROM AND PRINTING OF ANY MATERIAL OBTAINED FROM SUCH WEBSITES. WITHOUT LIMITING THE FOREGOING, EVERYTHING ON OR's WEBSITE IS PROVIDED "AS IS" WITHOUT WARRANTY OF ANY KIND, EITHER EXPRESSED OR IMPLIED, INCLUDING, BUT NOT LIMITED TO, THE IMPLIED WARRANTIES OF MERCHANTABILITY, FITNESS FOR A PARTICULAR PURPOSE, OR NON-INFRINGEMENT. SOME JURISDICTIONS MAY NOT ALLOW THE LIMITATIONS OR EXCLUSION OF LIABILITY FOR INCIDENTAL OR CONSEQUENTIAL DAMAGES OR EXCLUSION OF IMPLIED WARRANTIES SO SOME OF THE ABOVE LIMITATIONS OR EXCLUSIONS MAY NOT APPLY. CHECK LOCAL LAWS FOR ANY RESTRICTIONS OR LIMITATIONS REGARDING THESE LIMITATIONS OR EXCLUSIONS. ENTRANT'S RIGHTS. By submitting the Writing as part of the Entry to the Contest, each Entrant grants OR and Agencies and its associated agencies, a world-wide, royalty-free, non-exclusive, non-transferable, absolute and irrevocable license, right and permission to use, re-use, publish, re-publish, publicly display, perform, transmit, exhibit, and reproduce any information including, without limitation, Entrant's Writing, name, address, e-mail address, statements, video, voice, photograph, or other likeness, in whole or in part, individually or in conjunction with other material, including without limitation, text, photographs, or images, in any medium (whether now known or hereafter invented) and for any and all purposes, including but not limited to publicity, promotion, packaging, and trade, throughout the world without restriction as to manner, frequency, or duration of usage, only in connection with Contest (which, without limitation, includes OR and Affiliate's collateral, websites, and Social Media including but not limited to Instagram, Facebook, Twitter, YouTube, and Vimeo pages used in connection with the Contest). Each Entrant consents to any and all infringement of their moral rights. Nothing herein shall obligate OR and Agencies to use, without limitation, the Entrant's name, address, e-mail address, Writing, statements, video, voice, photograph, or other likeness. Each Entrant represents and warrants that Entrant has the right to grant OR and Agencies the above-mentioned rights without obtaining the permission of, or making any payments to, any third party or entity. Each Entrant hereby waives any right Entrant may have to inspect and approve any work-product, whether marketing, promotional, web content, or otherwise, incorporating any information submitted by Entrant, and hereby releases and discharges, indemnifies and holds harmless OR and Agencies and their officers, directors, employees, contractors, agents, and any designees, including without limitation, OR and Affiliate's licensees, successors, and assigns, from and against any and all liabilities, losses, claims, demands, costs (including without limitation attorneys' fees) and expenses arising out of or in connection with any use granted hereunder, including but not limited to any claims for defamation, invasion of privacy, right of publicity, or copyright infringement. OR RESERVES THE RIGHT, WITH OR WITHOUT NOTICE TO ENTRANTS, TO CHANGE OR AMEND ANY OF THE OFFICIAL RULES OUTLINED ABOVE FOR ANY REASON ITS DEEMS, IN ITS SOLE DISCRETION, REASONABLE AND NECESSARY. OR RESERVES TO RIGHT TO CANCEL THIS CONTEST WITHOUT LIABILITY AT ANY TIME FOR ANY REASON.